A photography portfolio website template like this makes it easier to build an advanced, yet reliable looking photo album portfolio or freelance photographer portfolio site. 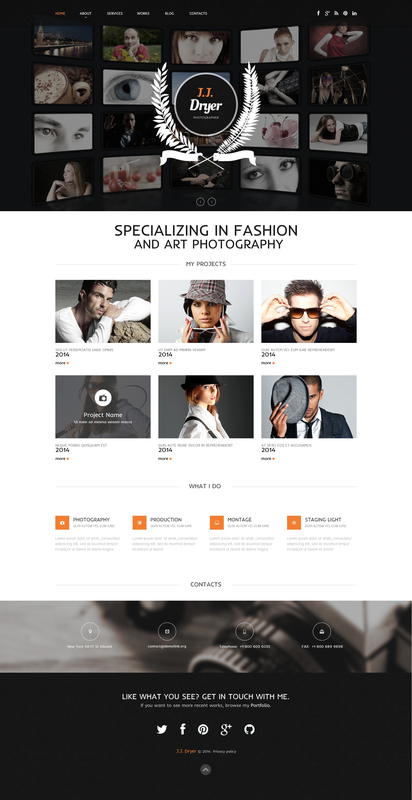 Top-quality and exceptionally versatile website template with a clean look crafted for stock photography or photo bank. You can customize every element of the template to make it match your company. A comprehensive documentation folder as well as free round-the-clock support are bundled. Stimulate online viewers to become customers with a top notch web project based on this theme. I liked this template as it is responsive and the elements fit well in cell phones.